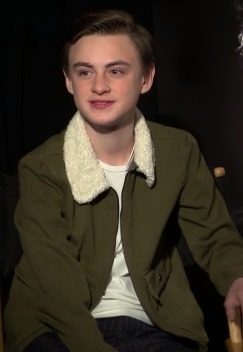 Jaeden Wesley Lieberher (born January 4, 2003) is an American actor. He is known for starring in the films St. Vincent, as Oliver Bronstein, Midnight Special, as Alton Meyer, The Confirmation, as Anthony, and The Book of Henry, as Henry. He is the son of Angela Martell and executive chef Wes Lieberher. Read more on Wikipedia.